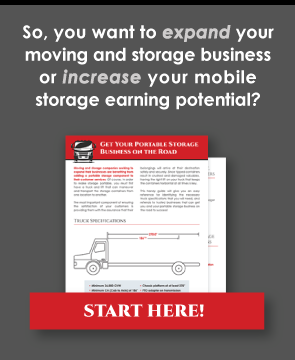 Running a self storage business can be a lucrative, long-lasting career, but it still takes work. You have to show your customers that you care about protecting their belongings, so ensuring your facility has excellent security is crucial. Keeping the facility secure takes more than just installing a lock and a keypad, though. Here are four tips for enhancing the security of your business. Locks can break, keypads can short out, gates can get stuck – you can’t ignore any portion of your self storage business because if you do, it can easily become a very weak link. Every day, walk around the facility and check exterior locks, doors, gate and elevator keypads, and even fences for signs of wear or vandalism. Test the keypads and fix any indicator lights that may be out on the pad. This might sound like a lot at first, but you’ll quickly become accustomed to what everything looks like when it’s in good shape. Soon you’ll be able to make the rounds relatively quickly. Cameras can obviously help if someone breaks in or if you find vandalism inside the facility. But they can also help identify when people have tried to get in and what they were doing. That can point you toward areas that need repair. For example, if someone tried to break through a lock but got scared off by a passing car, you know to not only replace the lock but also increase security in that area. If you rent out storage units, your customers will obviously need access. But many customers will not need access every day or even every week. One way to add an extra layer of security is to have a building – that locks on the outside, of course – that houses those portable storage cubes. The difference between that and having a building housing regular units is that the cubes can be placed very close together so that the doors on the cubes are blocked, making it hard for unauthorized people to get into the cubes. When an authorized person wants to get in, you can move the cube out of the building to a spot where the person can access it. You can set up limited hours during which you’ll make the cubes accessible. Offer them for a lower price, and you could find demand to be very high. A self storage business doesn’t have to have a resident manager, but it helps with security greatly. Someone living onsite will almost always be around and able to contact police if needed. Anyone trying to sneak into the facility likely will be heard; even if the resident manager is asleep, the clanging and thumping noises that occur when someone tries to break through a metal lock or gate will wake the manager up. And best of all, just knowing that someone lives onsite is often enough to dissuade many crooks from trying to break in in the first place. Keeping your facility secure shows your customers that you care about their belongings and their satisfaction. Take steps now to make your storage facility a safe place in which people can leave their belongings with confidence.